Stock markets around the world have dropped sharply this week. But cryptocurrencies, which some argue could be safe haven during turbulent economic times, haven’t benefited. Yet with global stock markets beginning to look shaky, it’s possible that the thesis could be put to test. This week has been a turbulent one for stock markets around the world. From Monday’s open, the German DAX, French CAC 40, and UK FTSE 100 are all off by more than four percent in mid-day trading Friday. In the U.S., the NASDAQ Composite has fallen by 3.2 percent for the week, while the S&P 500 is down by nearly four percent. Asian markets are down similarly. The Nikkei 225 has declined by 3.6 percent, while the Shanghai SSE Index is down by 6.7 percent. The Hong Kong Stock Exchange is also off 3.4 percent. 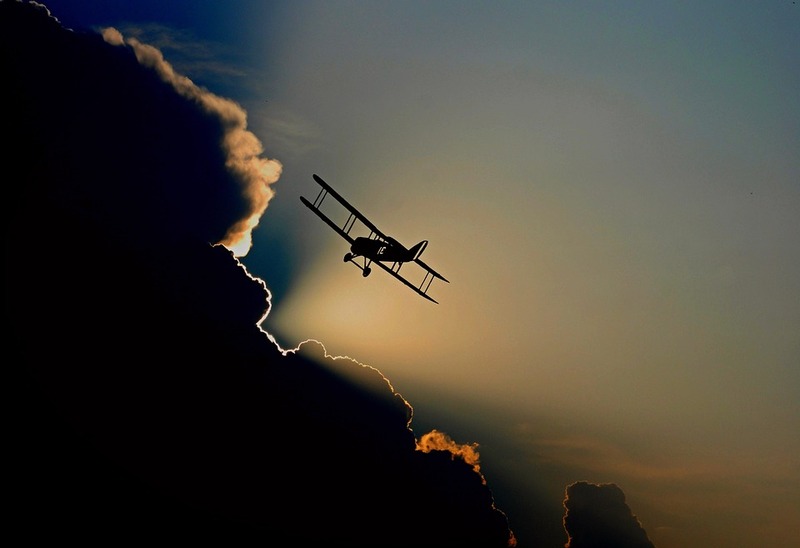 Storm Clouds Ahead for the Global Economy? Dimon is not alone in seeing dark economic clouds ahead, as observers are pointing to a variety of factors for triggering the drop this week. These include everything from rising interest rates, public debt held by governments, to the possible effects of a trade war between the United States and China. The fact that its been ten years since the financial panic of 2008 is likely also weighing on investors. Yet, the global economy is growing at a rate of 3.7 percent per the IMF, with most economies in Europe and North America experiencing relatively low levels of unemployment. But stock markets are a leading indicator of the economy, and they could be sending a flashing red signal. Global stock markets dropped this week. Those who were hoping that cryptocurrencies would withstand the selling pressure of the wider financial markets were disappointed this week. Bitcoin (BTC), when valued in U.S. dollars, dropped by 3.6 percent since Monday, while bitcoin cash (BCH) fell by more than 14 percent. 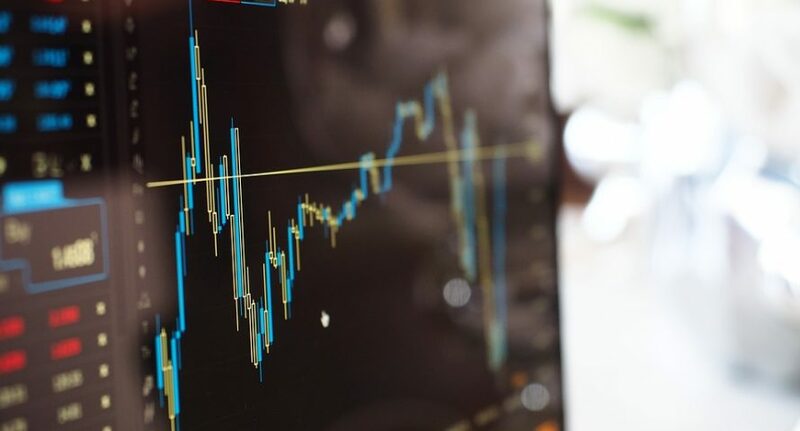 Ether (ETH) has declined more than 12 percent on the week, while Ripple’s XRP is off by around 11 percent. 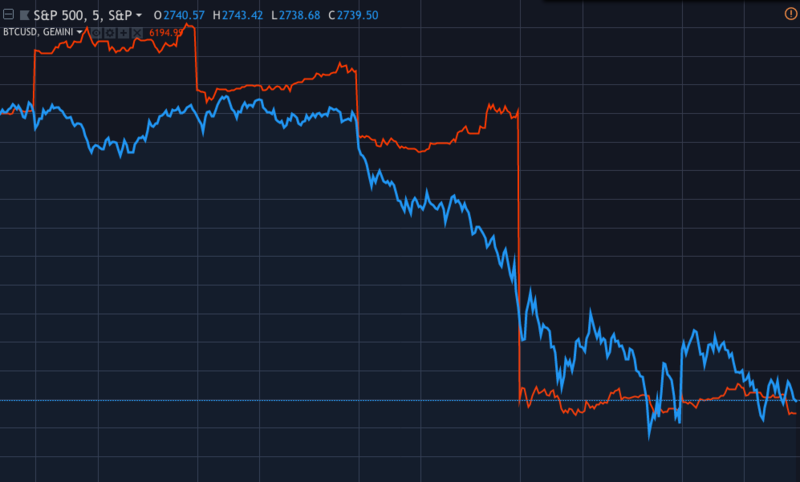 BTCUSD in red vs. S&P 500 Index in blue for the week of October 8th, 2018. The overall crypto market cap fell by $16 billion so far in that span and currently stands at around $200 billion. Most other altcoins had similar performances to BCH, ETH, and XRP. The relative stability of BTC, a pattern which has been emerging over the course of the year, was on display again during the past few tumultuous days. Will Crypto Hold Up in Times of Trouble? Though hardly scientific, a recent survey conducted by Fundstrat Global Advisors at a dinner with 25 institutional investors found that 72 percent of respondents believe that cryptocurrency valuations will increase in case of recession. 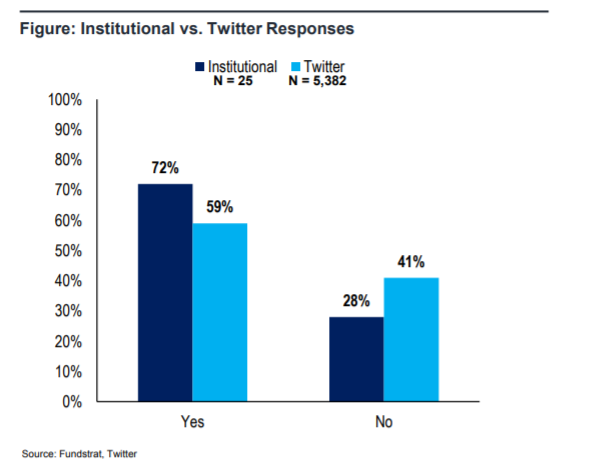 An online Twitter survey with around 9,500 respondents also done by Fundstrat in early October found 59 percent held the same view. Yet, for non-believers, the idea of buying crypto during a recession could be a hard sell. The crypto market cap has dropped by two-thirds since the start of the year and the market has shown little life in recent months. There was clearly a valuation bubble which formed early in 2018, and though it has at least partially deflated, there may still be further to fall. So, if equity markets fall further and a global recession does eventually occur, would investors really put their money into relatively untested cryptocurrencies? It’s possible, though by no means certain, that some cryptocurrencies will find buyers who are looking to diversify out of equities or bonds in the case of a financial markets crash. But it’s equally likely that crypto assets holders will sell their coins during a market crash. In the end, the answer will likely depend on the severity and duration of any future recession as well as how crypto markets fare. Another factor will be whether cryptocurrencies can avoid bugs that disrupt the network, like what could have happened with bitcoin recently. Have your say. Do you think more investors would consider investing in crypto in the event of a crash of equities markets? 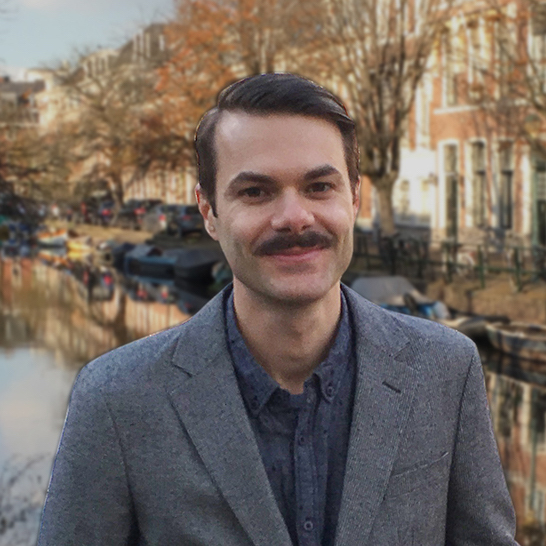 Ian Edwards is an independent journalist who covers technology and the cryptocurrency/blockchain space. He lives in the United States and doesn’t own any cryptocurrencies. Follow him on Twitter: @ianedws.